I had been on a journey and at the same time seeking to experience the spirit of a city, people or place. Last year, my life partner and I were in Europe for a number of months, and we were continually dealing with lawyers, embassies and European bureaucracy so I could stay longer. He is European and I am an American citizen. We spent a month in Paris by way of Greece, and through it, I was getting tired and started to want “home”. I have been writing as long as I can remember. I remember writing stories for classmates in elementary school because it was the only way I could figure out how to be part of the group. I was painfully shy. In college, I thought I would become a writer and majored in English, but life had other plans for me and today, I can proudly say I raised a beautiful and generous young woman who has started her own way in the world. And, I am also privileged to have other young people who grew up with my daughter who come to my place – as recently as last weekend – give me a hug and know my place is also their home. When Savas and I arrived in Paris, the beautiful summer days and gentle breezes of Greece gave way to the crisp air and bustle of autumn in the City of Lights. Paris is Paris. It is a city that simply is – so beautiful. This was my third or fourth time there, but I was off-center. I was dealing with stress and not being comfortable in the unknown. I needed to find a place to recalibrate and reconnect. And so, one night, Savas and I walked into the Shakespeare and Company bookstore. 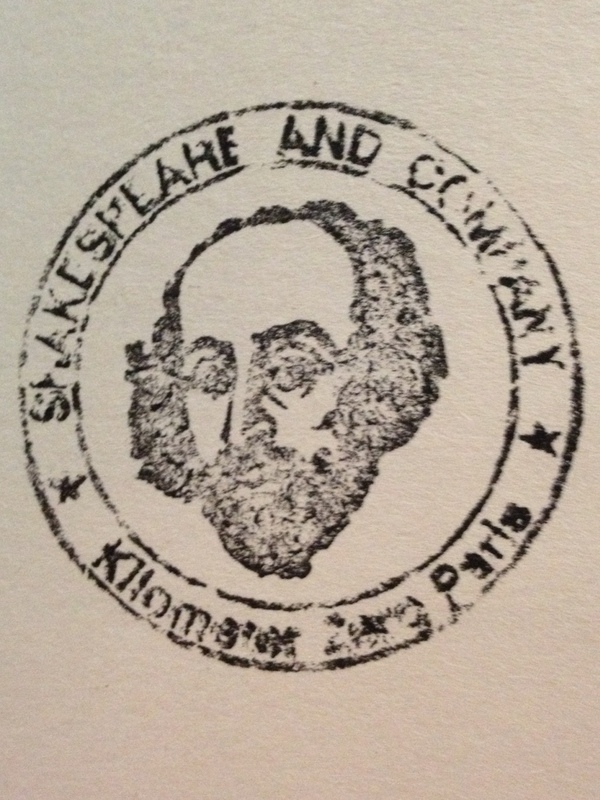 Shakespeare and Company was established in 1951 by George Whitman who had traveled extensively and moved to Paris under the GI Bill in 1951. The bookstore occupies a prime space in a building below, which was his, and now his daughter’s, apartment. It is a stone’s throw and opposite the beautiful Notre Dame Cathedral on the Left Bank. Although today I am writing about Paris, this too is a story of giving. George had spent many years traveling through South America and serving in Europe during World War II and was impressed by the generosity and spirit of the locals. It was something that remained with him when he opened his bookstore in Paris. He looked to create a space that was a home for aspiring and established writers, artists and visitors. He opened his home and his store as a sanctuary. Over the years, over 50,000 have slept in the home, including Henry Miller, Anaïs Nin and Allen Ginsburg. George worked tirelessly at Shakespeare and Company for 60 years. Clearly, this was a labor of love. He died two days after his 98th birthday in December of 2011, and today his daughter Sylvia runs the shop. When I walked into Shakespeare and Company, I was taken to another place. Books and books pressed together on endless shelves as I carefully walked on creaky wooden floor boards. It was magical. Old books, new books, books with notes in them, books signed by authors, books by authors I had last read in college, books by authors looking to make their mark in the world. It was incredible and I was so fortunate to be walking through this beautiful old bookstore. Unfortunately, in the United States, these old bookshops have largely given way to mega stores and e-readers. But, some of us still enjoy the actual tactile feel of a book in our hands. As much as I love books and the written word, it was the intimate and comforting space that George originally created and Slyvia continues to maintain that had me transfixed on my first visit. I loved to hear English spoken by nearly everyone inside of the store. That alone made me feel as if I had entered through a passageway back home. Learning foreign languages is not my strength and it was simply wonderful to hear American and British accents after having been outside of the country for at least three months by that point. I took everything in slowly. This was a place I would linger. There was no need to rush. The bookstore beckoned you to stay, sit and feel at home. And then I saw those wonderful words written above a doorway: “Be not inhospitable to strangers / Lest they be angels in disguise.” I was home. I don’t remember how long Savas and I spent separately and together wandering through the warren of aisles, sections and rooms on the first and second floors. To leaf through books by today’s authors and those I used to read when I was in school including Oscar Wilde, Lord Byron, F. Scott Fitzgerald or Emily Dickenson or look at bindings that were clearly of another time and gently page through books to see the publication date was such a wonderful and healing experience. An old typewriter sits at the ready on the second floor inviting anyone to write and create. Notes from people I would never meet were left on the walls. There was love and care in every book and area of this magical place. Finally, the time came to leave and, yes, I bought a book. The clerk asked if I wanted the store’s famous stamp inside of my book, and, of course, I did. And now I know, when I return to Paris that I will always have a little place in that great city where I can always feel as if I am home. There is never a rush to leave. Please Don’t Forget to Follow My Blog at Living For Purpose™ and like my Facebook Page. © 2014 Linda N. Spencer and “Living For Purpose™” all rights reserved. Unauthorized use and/or duplication of this material without express and written permission from this blog’s author and/or owner is strictly prohibited. Excerpts and links may be used, provided that full and clear credit is given to Linda N. Spencer and “Living For Purpose™” with appropriate and specific direction to the original content. That’s true. Very cool place! It is terrific and I hope you visit there sometime! Sounds lovely – I’ll definitely check it out the next time I’m in Paris! Thank you. When I am next in Paris, I intend to go back. The two times I’ve been to Paris, this bookstore has been on my ‘must-go’ list…you’ve beautifully conveyed what it’s like and especially what a nice break it is in a foreign land to hear English being spoken. 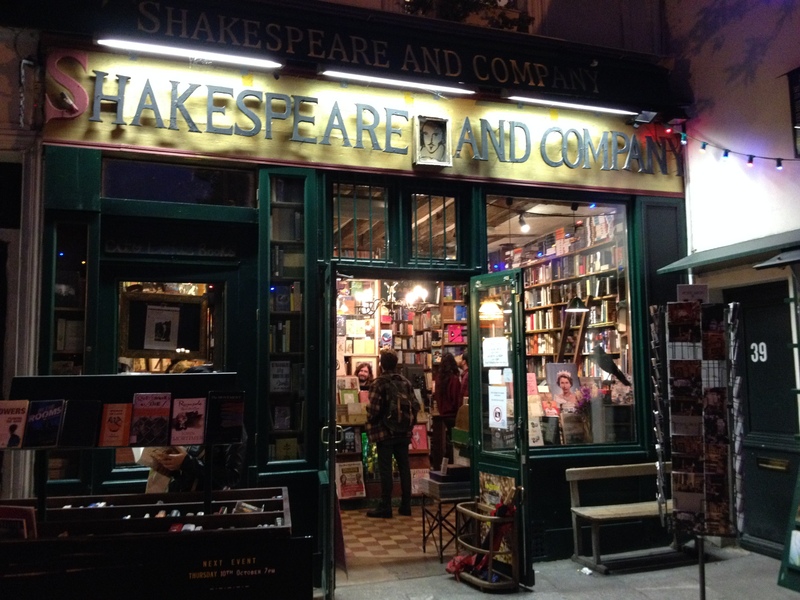 I will be in Paris next month and hope to check on Shakespeare & Co again!